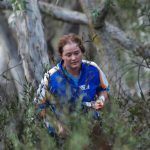 Parawanga is a Canberra orienteering club catering for all ages and all skill levels from the novice or occasional orienteer through to those who have or are aspiring to represent Australia at World Championship events. Established in the 1970s, Parawanga is a club with a fine history of orienteering achievements locally and at the national level. Aside from competing and organising events, the Parawanga club has a social program that includes regular club meetings followed by pizza dinner, and an annual Xmas BBQ. Particular highlights are the club gatherings held when members travel to compete at major orienteering carnivals throughout Australia and overseas. ‘Parawanga’ is the name of an Aboriginal spirit of madness, often appearing in the form of a mirage. Some would claim that mirages and madness accompany orienteers when illogically seeing features that don’t exist or convincing themselves that what they see is actually what is shown on the map. Obviously this was an affliction suffered by some orienteers when the club was formed in the 1970s but hopefully is less apparent for the Parawangans of today. However, for those Parawangans who suffer moments of madness during an orienteering event but manage to find their way out of their self caused mess and complete the event, the club honours their perseverance through the annual awarding of the ‘Snail’ trophy. Of possibly greater prestige the club also awards annually the ‘Blue Man’ trophy to the member that has contributed the most to the club for that year. 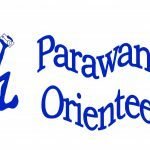 If you are looking for an orienteering club that is all inclusive and offering a mix of social and orienteering activities then Parawanga may be the club for you. If you want to find out more about the Parawanga orienteering club please contact any of the following club representatives or just turn up at a Canberra orienteering event and look for the people wearing the blue, yellow and white orienteering shirts.